WASHINGTON (Reuters) – When world powers agreed in 2015 to lift sanctions on Iran in return for curbs on its nuclear program, the deal's supporters in the United States, Europe, and Tehran hoped renewed trade and investment could boost Iran's private sector and weaken the state's hold on the economy. But a Reuters review of business accords reached since then shows that the Iranian winners so far are mostly companies owned or controlled by the state, including Iran's Supreme Leader, Ayatollah Ali Khamenei. Of nearly 110 agreements worth at least $80 billion that have been struck since the deal was reached in July 2015, 90 have been with companies owned or controlled by Iranian state entities, the Reuters analysis shows. U.S. President-elect Donald Trump, who takes office on Friday, has threatened to scrap the accord, which came into force in January 2016. In Iran, Khamenei and other anti-Western hardliners have repeatedly criticized it because they are concerned it would open the door to Western involvement in Iran's economy. 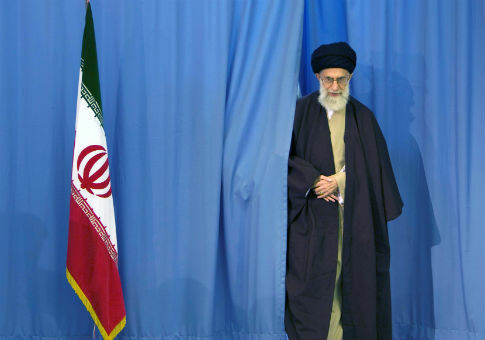 The accord also promises to dominate Iran's presidential elections due in May. Khamenei's criticism has helped hardliners undermine President Hassan Rouhani, who supported the deal, as he tries to win a second term. No matter what hardliners have said about the nuclear pact, though, the Reuters analysis shows that businesses which answer ultimately to the Supreme Leader stand to gain from it. This could help shield the accord from its Iranian critics, according to one analyst. "Iran's leaders have probably calculated that ensuring politically connected businesses benefit from sanctions relief will protect the deal," said Richard Nephew, a former U.S. negotiator with Iran on the deal and now a scholar at Columbia University. Officials at Iran's mission to the United Nations and Rouhani's office did not respond to requests for comment. No one at Khamenei's office could be reached. The Reuters analysis drew on interviews with company officials, statements by Iranian, European, and Asian companies, Iranian news reports, ownership data from the Tehran Stock Exchange, filings with Iran's official company registry, and statements by the U.S. Treasury. Many deals are preliminary agreements with no published financial value. The deals span energy, infrastructure, pharmaceuticals, and other key sectors. South Korean, Italian, French, German, and Russian companies have signed the most. The review found that beneficiaries of the nuclear pact include Setad Ejraiye Farman-e Hazrat-e Emam, also called EIKO, an organization overseen by Khamenei with stakes in nearly every sector of Iran's economy. It found companies in which entities controlled by Khamenei have a large or majority stake, including those that are part of the economic empire of the Islamic Revolutionary Guard Corps (IRGC), have struck at least nine foreign deals worth more than $11 billion in the last 18 months. Setad said in a statement to Reuters that Iran's private sector "is reluctant to make large and long-term investments." Setad and groups like it "create a favorable atmosphere for investment, private-sector development, and the downsizing of the government," it said. The IRGC declined to comment. The state dominates Iran's economy, so state-controlled firms were always likely to win most business after sanctions were lifted. Iranian officials estimate that the private sector makes up only 20 percent of Iran's economy. In Iran, "you make money if you're close to the centers of power," said Ali Ansari, an Iran scholar at the University of St. Andrews in Scotland. "The economy hasn't been restructured or reorganized. You're recycling wealth through the elite." Only 17 deals have gone to private companies, by Reuters' tally. These include a hotel management pact between France's AccorHotels and Tourism Financial Group, a large conglomerate. Its chief executive is the brother of Iran's vice president, Eshaq Jahangiri. Tourism Financial Group and AccorHotels did not respond to requests for comment on the deal. Counter to the hopes of supporters of the nuclear accord, the initial wave of investment looks likely to further strengthen the power of the state, including Khamenei, whose power far surpasses Rouhani's. Supreme Leader since 1989, the cleric controls the judiciary and security forces and the Revolutionary Guards, which direct Iran's military efforts in Syria and Iraq. Most sanctions on Iran were lifted under the nuclear accord, so there is no suggestion any partners doing business in the country after the agreement would be breaking any laws. A U.S. State Department spokesman said the nuclear deal "solves a specific problem, which is making sure that they don't possess a nuclear weapon … We are not standing in the way of legitimate, permissible business with Iran." Of the 90 deals signed between foreign firms and Iranian state-controlled or state-owned entities, 81 were with companies controlled by Iran's elected government. These include entities such as the National Iranian Oil Company, large semi-public conglomerates whose top executives are chosen by ministers, and companies owned by government pension funds. Though Iran holds regular elections and the president has sway over much domestic policy, Khamenei has the final word on state matters, including through his constitutional authority over institutions such as the Guardian Council, which vets candidates hoping to run for office. Five of the 90 deals went to conglomerates or foundations whose leaders Khamenei directly appoints. These entities–several of which have vast business activities but which Iranian officials have said do not pay full tax–include the religious institution Astan-e Qods-e Razavi, whose economic arm lists 36 subsidiary companies and institutes on its website. One of them is Razavi Oil and Gas Development Co., which agreed in April to discuss developing a gas field with Saipem, an Italian oil and gas company. A Saipem spokeswoman said it was a preliminary agreement. Officials at Razavi did not respond to requests for comment. Another winner in this category is Setad. A 2013 investigation by Reuters found Setad built an empire worth about $95 billion on the seizure of thousands of properties belonging to religious minorities, business people, and Iranians living abroad. In 2013, the U.S. Treasury sanctioned Setad, calling it a "major network of front companies controlled by Iran's leadership." The nuclear deal lifted sanctions, allowing foreign companies to do business with the conglomerate. Reuters identified three deals between foreign companies and Setad units, including the proposed construction of a $10 billion oil refinery. The other two deals were with Barakat Pharmed, a Setad-owned pharmaceutical company. Nasrallah Fathiyan, a Barakat official, told Reuters that Khamenei doesn't own Barakat, but that "his supervision is basically guiding all of this investment." Some of Barakat's profits, Fathiyan said, go to Setad's charity arm. Setad said it is independent, and its income goes toward "economic empowerment, building houses for the underprivileged, building schools and cultural centers," and other activities to help the disadvantaged in Iran. Four of the 90 deals with government entities involve firms in which the Revolutionary Guards have large or controlling stakes. Khamenei, as commander in chief, ultimately controls the IRGC. Even after the nuclear deal, some U.S. sanctions remain in place. These state that foreign companies which knowingly conduct "significant" transactions with the Revolutionary Guards, or other sanctioned Iranian entities, risk penalties. The sanctions effectively banish those targeted from the global financial system. However, many companies in which the IRGC has an interest are not blacklisted. Three of the four deals Reuters found with IRGC-linked companies are with non-sanctioned Iranian companies that are wholly or significantly owned by the IRGC. A fourth IRGC company is still on the sanctions list and is indirectly involved in one foreign deal. Sanctions lawyers say the fine print of the remaining U.S. sanctions allows foreign companies to continue to deal with some IRGC-held firms indirectly. A Treasury spokeswoman declined comment on individual deals, but said a transaction by foreigners with a company in which the IRGC or another sanctioned entity had a "passive, minority" stake "is not necessarily sanctionable." The foreign party should ensure the deal does not involve a sanctioned entity, she said. "At a policy level I think this is a gap that needs to be closed," said Peter Harrell, a former State Department official who helped develop sanctions against Iran. "As problematic and troubling as some of these deals may appear to be from a policy perspective, on the face of it, there's not a strict legal problem."